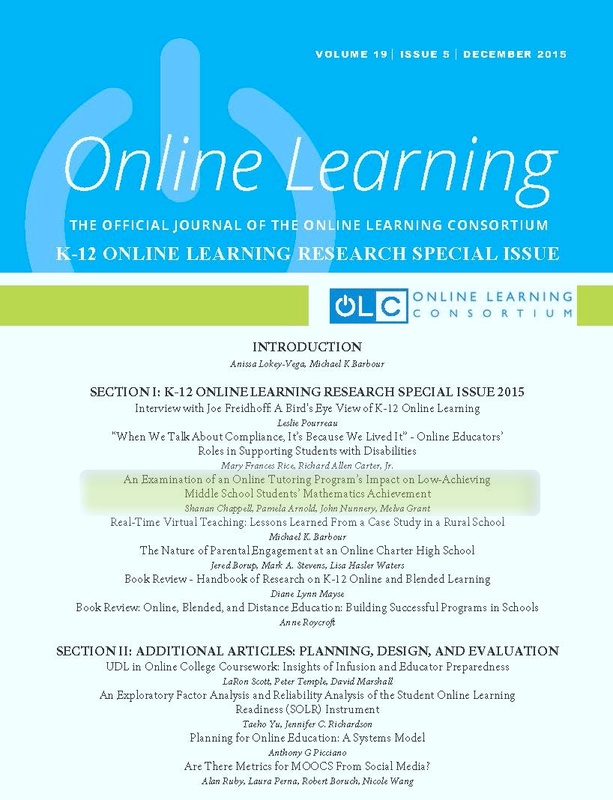 In case you missed it...FEV's virtual tutoring was featured in the OLC Online Learning Journal! We're excited to announce that this winter the Peer Review Journal, Online Learning Consortium Online Learning Journal Volume 19, Issue 5 - December 2015, included a third party efficacy study on FEV's Virtual Tutoring Services written by Shanan Chappell, Pamela Arnold, John Nunnery, and Melva Grant of Old Dominion University! This was a special issue of Online Learning which focused on bringing additional rigor and research in K-12 Online Learning to examine both what is not working in K-12 online settings and to "investigate and report instances of effective policy and practice in K-12 Online and surrounding settings such as K-12 blended classrooms or online learning for non K-12 students (Lokey-Vega & Barbour)."